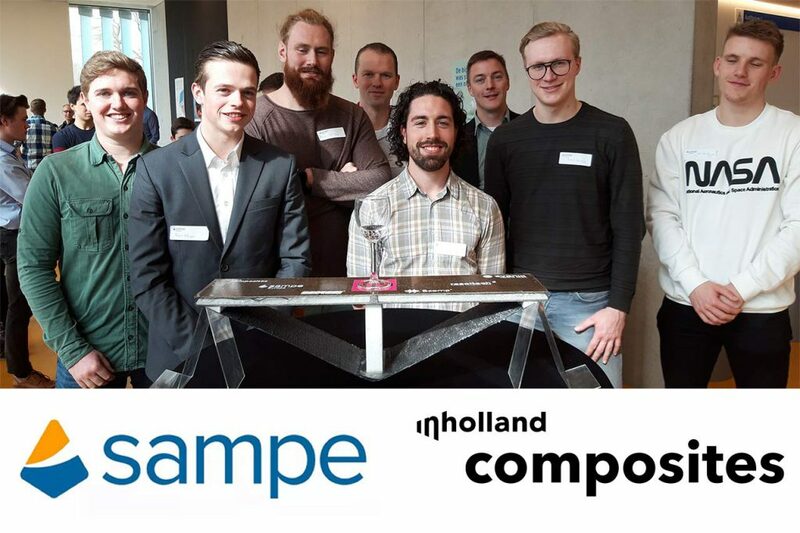 A team of Civil and Architectural Engineering students represented Inholland on March 28 in the second edition of the SAMPE bridge building contest. of SAMPE’s key objectives. 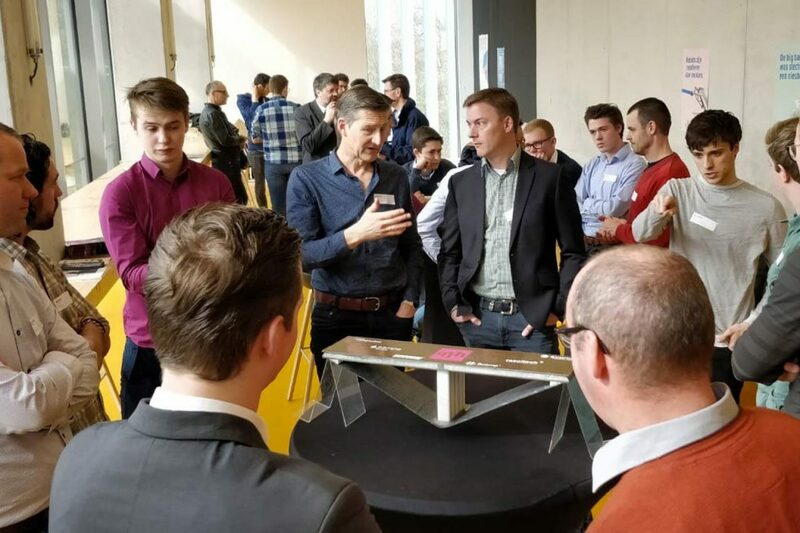 To create a dialogue and network with tomorrow’s engineers, SAMPE Benelux organised its second bridge building contest, with use of composite materials, to be run amongst teams of Benelux engineering students. 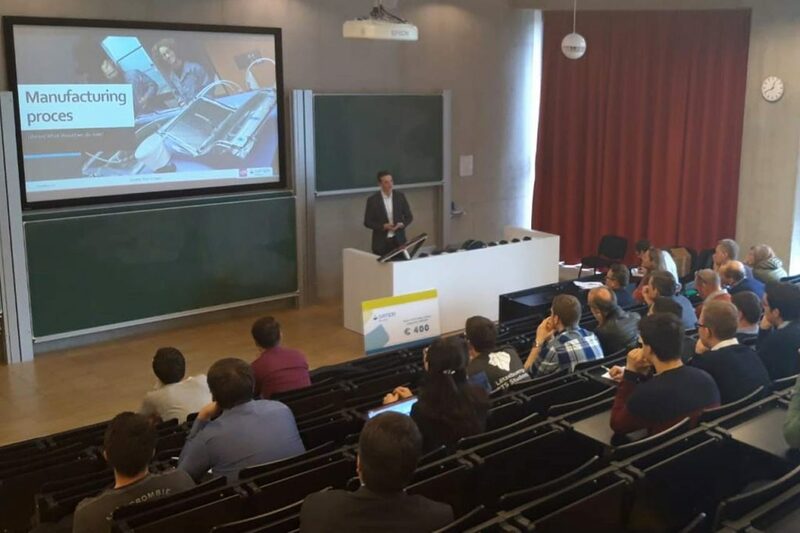 This time eight Benelux teams were present from HAN, Saxion, KU Leuven, TU Delft, BTS Génie Technique, UGent and Inholland. 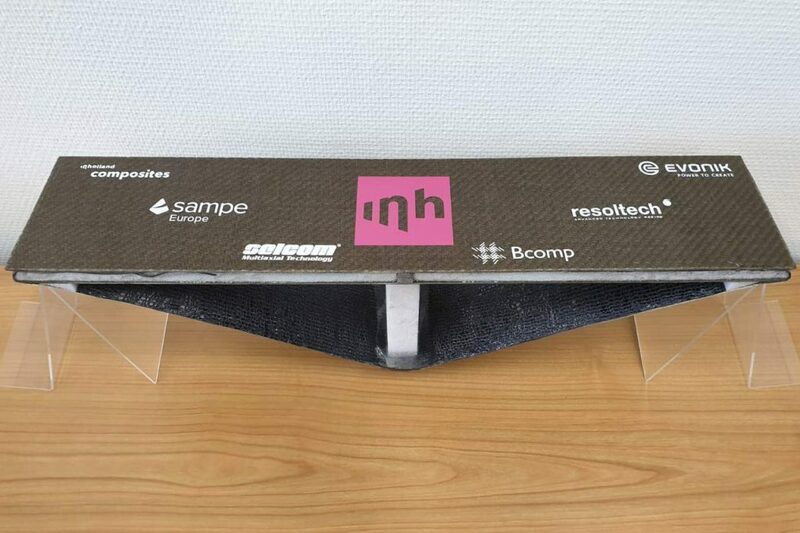 In the past 5 months, our students designed, manufactured and prototype-tested a composite bridge. Prior to the final testing of all bridges, each team presented their design and process. The 60cm long bridges were then tested in the mechanical lab of Gent University. The bridges were evaluated based on their performance in terms of strength, deflection, cost, mass and bio-based content. ‘Our’ bridge failed at 13kN, which is pretty impressive giving its 840grams mass. The performance of the bridge and the presentation finally granted us a solid 4th position.